We offer uplifting, inspiring, hot vinyasa yoga in a beautiful studio in the heart of Northampton. Our classes are challenging, yet accessible to all, regardless of age, experience, or background. This is yoga as you have not experienced it before. We invite you to stop by and see for yourself. 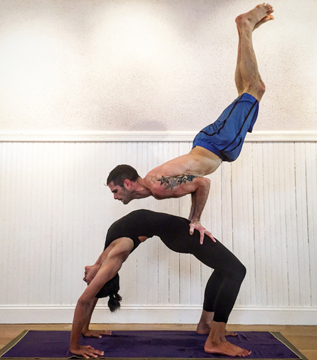 Looking for yoga in the Boston area? Visit our studio in Brookline! Join us for Saturday Afternoon Fever! month with this All Levels class set to music.